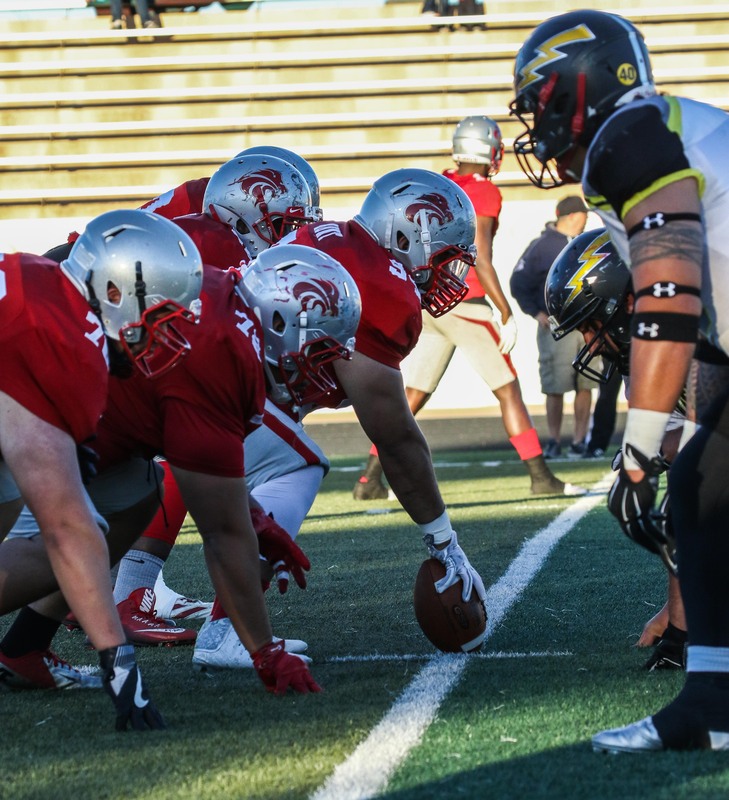 ST. GEORGE – The Zion Lions have the Wasatch Revolution occupying their minds as the Rocky Mountain Football League playoffs start this weekend. Who can blame them as the Rev have beaten the Lions three straight times in the RMFL Championship game. But Zion won’t get another shot at Wasatch without taking care of a little bit of business this weekend against the Utah Shock. The Lions and Shock play at 7 p.m. at Pine View’s Panther Stadium Saturday night. The winner of that game will play the winner of the other RMFL semifinal, which has the Revolution hosting the Utah Wildcats. 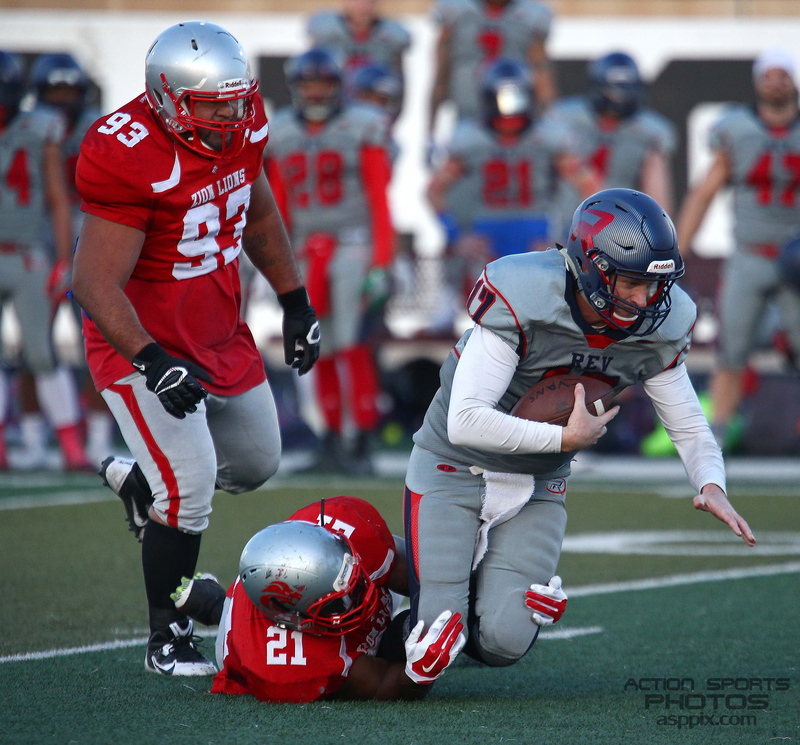 The Shock, based in Bluffdale in the south part of the Salt Lake Valley, are 3-3 on the year, with two of those three defeats coming at the hands of the Lions. Zion beat the Shock 21-7 in St. George in late April. The two teams met again two weeks ago in the regular season finale. Zion won 49-35, though the Lions led 49-19 before a couple of late scores made the final tally a little more respectable. Fields and Tupe combined for nearly 300 passing yards and five touchdowns and the Zion running game averaged more than 10 yards per rush in the game. Vincent leads the RMFL with 1,078 yards and 17 passing TDs on the season. His favorite target (by far) is Sam Thomas, who has 31 receptions for 487 yards and seven TDs this season. IK Ubani is the leading rusher for the Shock with 187 yards and three TDs on the year. The Lions, 5-1, counter with a hard-hitting defense led by linebacker Brandon Thompson and defensive lineman Isaako Aaitui. Linebacker Taris Schramm, a former Payson Lion, leads the team (and the league) in tackles and safety Dave Bishoff is also a key cog in a defense that held the Shock to a season low 236 yards and seven points back in April. Offensively, Zion is led by a tandem of quarterbacks. Fields starts, but shares snaps with Tupe, who also plays linebacker on defense. Fields has thrown for 718 yards and 10 touchdowns this season. Tupe is more of a running threat and part of a quartet of Lions players who have made Zion the best running team in the RMFL. Tupe, along with Prentiss Miller, Rimo Mapu and Jorey Hansen, have helped Zion average 182 rushing yards a game. The four players rank among the top 12 individual rushers in the league. Miller is second in the RMFL with 375 yards and averages eight yards per carry. Zion’s lone loss this season is to Wasatch, a 26-10 defeat on May 20. The Lions have scored at least 40 points in three of their six games and have held opponents to 14 or less in four of the six contests. Wasatch may not necessarily love its draw of the fourth-seeded Wildcats in Saturday’s first round. The Rev, 5-1, beat the Wildcats twice this year, but both games were close. Wasatch won 12-7 on Apr. 15 and pulled out a 27-14 win on May 13. The Revolution have been led by former BYU quarterback Charlie Peterson for years, though Peterson has battled injuries this season and is actually second on his team in passing yards to Jordan Wager. But the Rev lead the league in defense, allowing the fewest points per game (11.2) and the fewest yards allowed per game. The Lions’ 17 points against the Rev back in April were the most Wasatch has allowed all season. Both of the Wildcats (2-4) wins were against the Davis Vipers, who failed to qualify for the playoffs. The RMFL championship is Jun. 24 at the highest remaining seed’s home stadium. No. 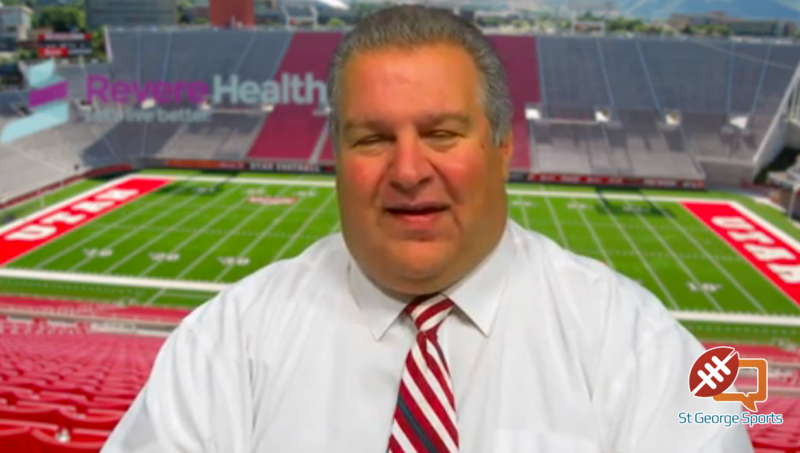 3 Utah Shock at No. 2 Zion Lions (@ Pine View), 7 p.m.
No. 4 Utah Wildcats at No. 1 Wasatch Revolution (@ Woods Cross), 7 p.m.